In recent year, reducing global warming is becoming one of the most challenging research topics in Information and Communication Technologies (ICTs) because of the overwhelming utilization of electronic devices and of Petroleum products. Current solutions mainly focus on energy efficiency for saving power consumption by virtual machine consolidation on one hand, and on the on the other hand, by minimization of the consumption of petroleum products through Teleservices. The latter that must be used via data center whose we try to reduce energy consumption. 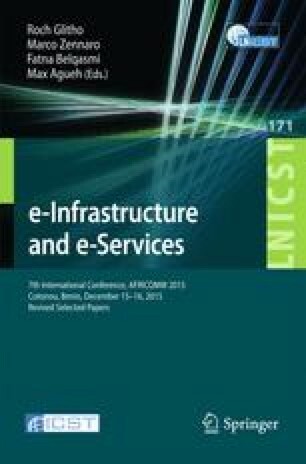 In this paper, we propose a dynamic consolidation method of virtual machines (VMs) using the alive migration and the switching of nodes idle and allowing to the suppliers of Cloud to optimize the use of the resource and to reduce the energy consumption. Furthermore, we show how Teleservices can participate in the reduction of the emissions of greenhouse gases in Africa.